Sai In My Breath: Shirdi Sai Baba: Har Pal Herbal. In Sai ‪Satcharitra‬ Ch. 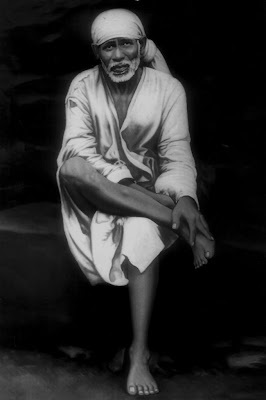 7, A Beautiful Description Is Given Of Baba Being The Famous Hakim Of ‪Shirdi‬. In The Early Days, Baba Roamed About Here And There, In The Thickets, Brambles And Jungles. Most People Thought That He Roamed Aimlessly. But The Compassionate Fakir Would Go And Collect Indigenous Plants, Leaves And Seeds. These He Would Use As A Remedy And As Cure For The Numerous Devotees Who Flocked To Him For Physical Relief. Once The Daughter-In-Law Of Hari Bhau Karnik Became Mentally Imbalanced. Karnik Heard The Sad News And Set Out To See Her. She Resided In Andheri, Bombay. He Caught A Local Train To Go And Meet Her. When The Train Reached Palghar, He Suddenly Saw A Fakir Wearing A Kafni Seated Behind Him. The ‪Fakir‬ Said, "Lord Parmeshwar Has Created All Varieties Of Trees, For Their Utilization By Humanity. But They Know Little About Their Significance Or Use. I Know Them Pretty Well." Then Pointing To One Particular Tree, He Said, "If The Leaves Of This Tree Are Ground And The Juice Given To A Madman, He Will Be Alright." Karnik Was Deep In Thought And He Was Unaware Of His Surroundings. Only Upon Reaching Bandra Did He Snap Out Of His Reverie. He Looked Around For The Fakir, But He Wasn't There. Upon Reaching His Son' S Home, He Quickly Procured The Leaves Of The Tree And Administered The Juice To His Daughter-In-Law Just As The Fakir Had Advised. Two Years Later, She Had Become Mentally Imbalanced Again. He Used The Same Leaves, And This Time, She Became All Right For Life. Once A Devotee Came To Him, As His Eyes Were Red, Painful And Swollen. ‪Sai baba‬ Took Some Crushed Biba Seeds (Marking Nuts) And Made Two Balls Out Of Them. Then, He Placed Then On Each Eye And Bandaged Them. The Next Day, He Removed Everything And Poured Water Over The Eyes And Behold, The Eyes Were Clear And Bright Again. Shama Suffered From Hemaroids (Piles) And The Pain And Burning Was Severe. The Compassionate Baba Gave Him A Decoction Of Sona Mukhi (Senna Pods) And He Was Relieved. Two Years Later, The Condition Reoccurred And Shama, On His Own Accord, Took The Same Senna Pods, Only To Find The Condition Aggravated (Sai Satcharitra Ch.13).